New Delhi, 15th Feb, 2017: Bajaj Auto today announced that it is ready to comply with EPCA’s direction of neither selling nor registering any pre – BS IV vehicle from 1st of April 2017. All its two and three-wheelers manufactured from January 2017 meet the stringent norms BS IV norms. It is probably the first automobile company to completely meet BS IV norms well before the deadline of 1st April 2017. The Central Pollution Control Board had earlier confirmed that BS III compliant vehicles could not be sold or registered anywhere in the country from 1st April’17. However, some automobile companies have requested that this deadline be extended. 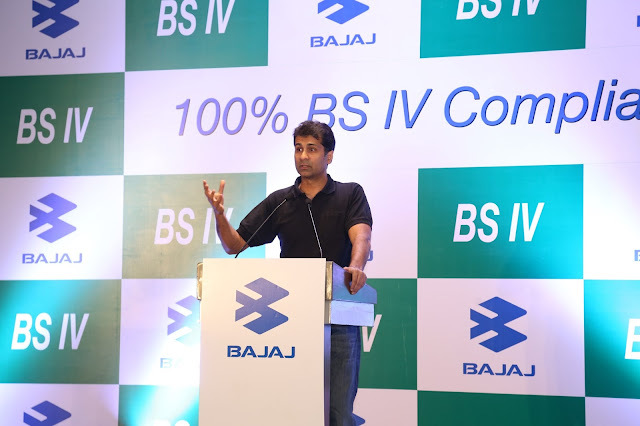 Mr. Rajiv Bajaj, MD – Bajaj Auto Ltd. said, “Bajaj Auto as a responsible corporate has complied with this directive and had already commenced manufacturing of BS IV complaint vehicles from October 2016. Moreover, with effect from Jan 2017 all products from all our 3 plants are BS IV compliant. We have thus ensured that all vehicles presented for registration from 1st April’17 onwards will be BS IV compliant. This has been possible because of meticulous planning for dealer stocks and switching over to production of BS IV compliant vehicles well in advance. The company feels that the authorities should send strong message by not giving any amnesty and if at all any short-term amnesty is given, it should be accompanied by a sizeable financial penalty on a per vehicle basis on all BS III vehicles registered after 1st April 2017 to discourage this practice in future. 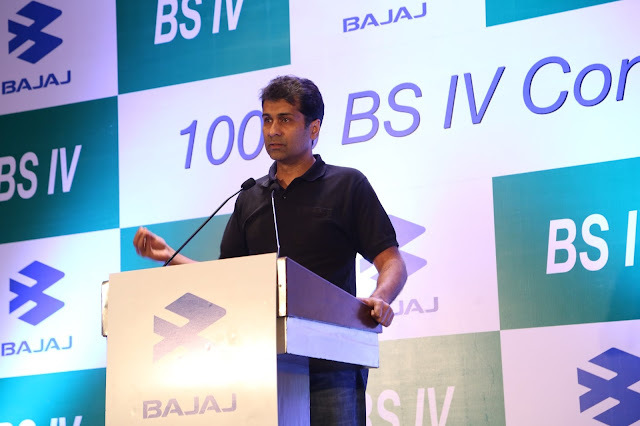 Bajaj Auto has always been at the forefront of adopting various measures for a greener and cleaner environment right from using wind power for energy requirements, use of alternate fuels like CNG and LPG for its commercial vehicles, green plantations and water treatment in its manufacturing facilities and use of advanced engine technology like the DTS-i to reduce emissions.